Social network to improve the educational experience with the deployment of different learning models. Vintimilla Tapia, P. E., Bravo Torres, J. F., Gallegos Segovia, P. L., Ordoñez Morales, E. F., López Nores, M. & Blanco Fernández, Y (2019). En Kaya, M. & Alhajj, R. (editores), Influence and Behavior Analysis in Social Networks and Social Media. Springer. A Mobile App to Learn About Cultural and Historical Associations in a Closed Loop with Humanities Experts. Daif, A., Tarek Dahroug, A., López Nores, M., González-Soutelo, S., Bassani, M., Antonio, A. et al. (2019). Applied Sciences, 9(1). Sporadic Cloud-based Mobile Augmentation on the top of a Virtualization Layer: A Case Study of Collaborative Downloads in VANETs. Ordoñez Morales, E. F., López Nores, M., Blanco Fernández, Y., Reinoso Morales, E. P., Bravo Torres, J. F., Pazos Arias, J. J. et al. (2019). Journal of Advanced Transportation, . Technology-powered strategies to rethink the pedagogy of History and Cultural Heritage through symmetries and narratives. López Nores, M., Bravo Quezada, O. G., Bassani, M., Antoniou, A., Lykourentzou, I., Emma Jones, C. et al. (2019). Symmetry, 11(3). Experiences from placing Stack Overflow at the core of an intermediate Programming course. López Nores, M., Blanco Fernández, Y., Bravo Torres, J. F., Pazos Arias, J. J., Gil Solla, A. 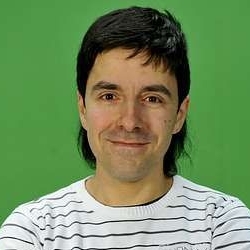 & Ramos Cabrer, M. (2019). Computer Applications in Engineering Education, to appear.